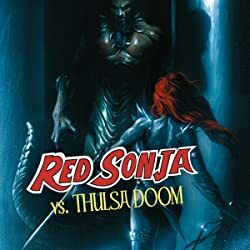 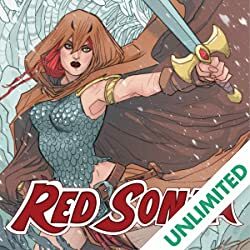 The ultimate Red Sonja story continues by the all-star team of Michael Avon Oeming, Mel Rubi, Brian Buchellato and friends! 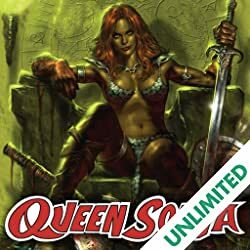 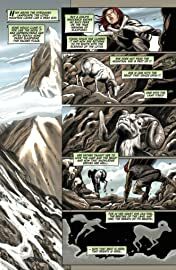 Kulan Gath continues to weave his evil, world-altering spell as Red Sonja, Suumarro, and Osin and captive King Quillo reach the Hall of the Old Gods! 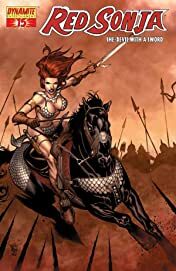 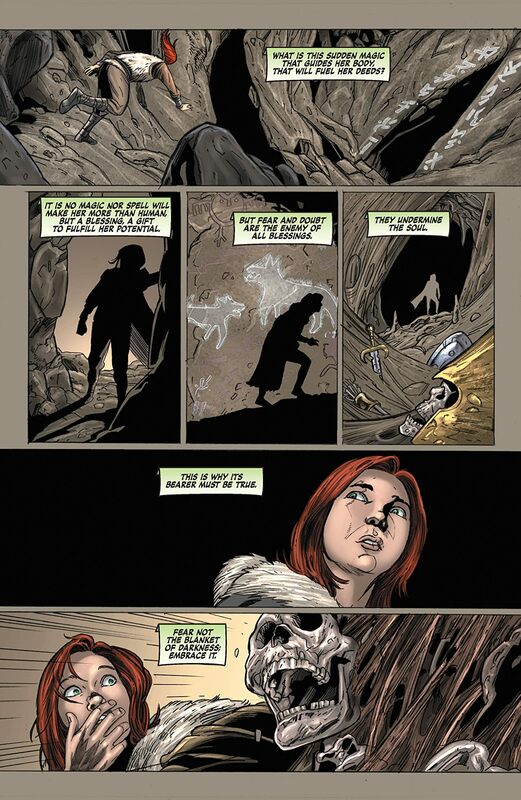 It is in this great Hall that our heroes gather new allies, and Red Sonja makes a fateful decision which will change the way those around her view her forever! 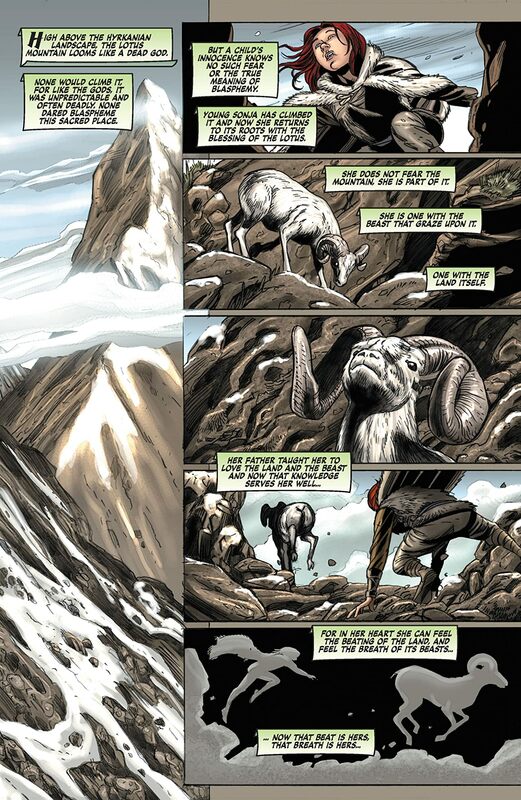 This exciting new story arc is presented by the regular creative team of Michael Avon Oeming and artist Mel Rubi - along with "flashback" artist Stephen Sadowski. 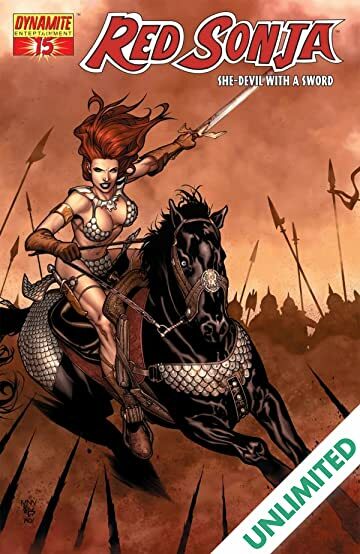 Includes covers by Steve (Civil War) McNiven, and his Civil War buddies Dexter Vines and his colorist Morry Hollowell. 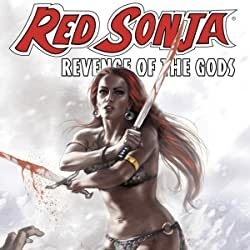 Plus, Jim Balent makes his Red Sonja cover debut!